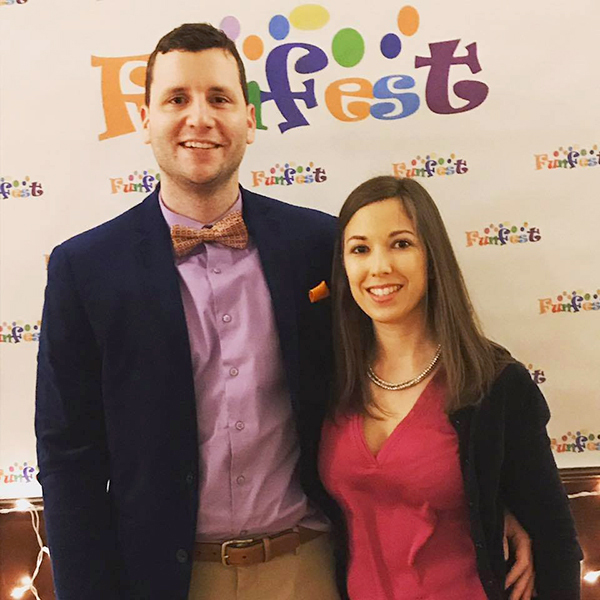 In 2017, Summit residents, Ryan and Dana Felmet, established an annual charity fundraising event called “February Fun Fest,” at which 100 percent of the monies raised benefit select charities which have included Crohn’s and Colitis Foundation, the YWCA of Union County, Cancer Research Institute, and Leukemia and Lymphoma Society. The couple sponsor the event with their own funds, and invite friends, family, and the local community to join a fun filled night which features guest speakers from each of the benefiting charities, light appetizers donated from local restaurants and businesses, raffle baskets donated by attendees and local businesses, and much more. The first two annual events raised over $9,000. This year’s event will take place at Summit Elks Lodge, 40 Maple St, Summit, NJ, on Saturday, February 16, from 7 p.m. – 11 p.m. The event will once again feature food, music, raffles and games, and will benefit Chron’s and Colitis Foundation, the YWCA of Union County and the Cancer Research Institute. Admission to the event is free. Attendees are encouraged to make a donation to one or more of the beneficiaries during the evening. We encourage local businesses and vendors participate in our event, as the majority of attendees are area residents. If you have questions, would like to donate, or are interested in sponsorship, please visit FebruaryFunFest.org or contact Ryan at FebruaryFunFest@gmail.com. (above) Ryan and Dana Felmet at the first annual February Fun Fest charity event in 2017.